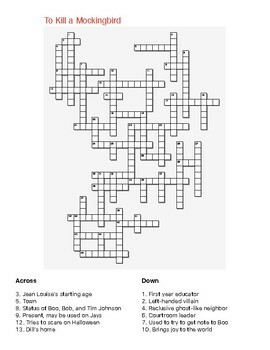 A crossword puzzle designed to review Harper Lee's novel, To Kill a Mockingbird, after students have finished reading the book. 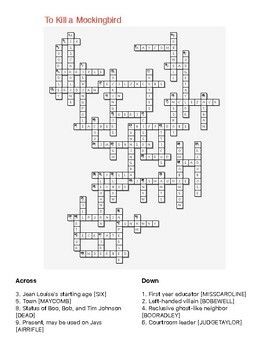 The crossword does have spoilers, so I would make sure students have finished the novel before attempting to solve the puzzle. 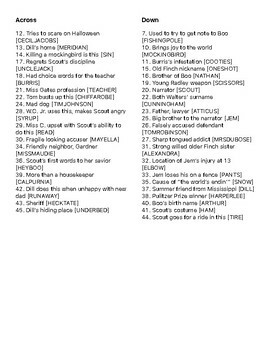 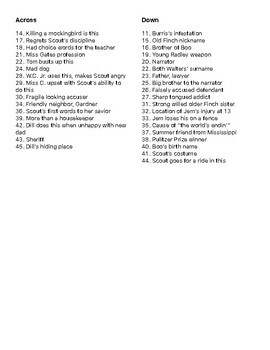 This is a 46 word puzzle using character names, objects, and other concepts from the novel.